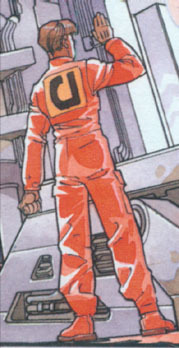 It's nice to see that the Empire (now Rebellion) artists kept the sweet sweet mutton chops for thier post-ANH comics. I botched the back emblem a little and had to correct it. I may have to do another coat soon, as the black Sharpie is slowly leaking back through the yellow paint.